Our fabulous friend Jenny Levison (aka Souper Jenny, Mistress of the Soup) has embarked upon another venture in Atlanta. This week saw the opening of Café Jonah and the Magical Attic. Nicky and I jumped at the chance to create and provide some specialty cocktails for a private launch party held last weekend for Jenny’s close friends and family. 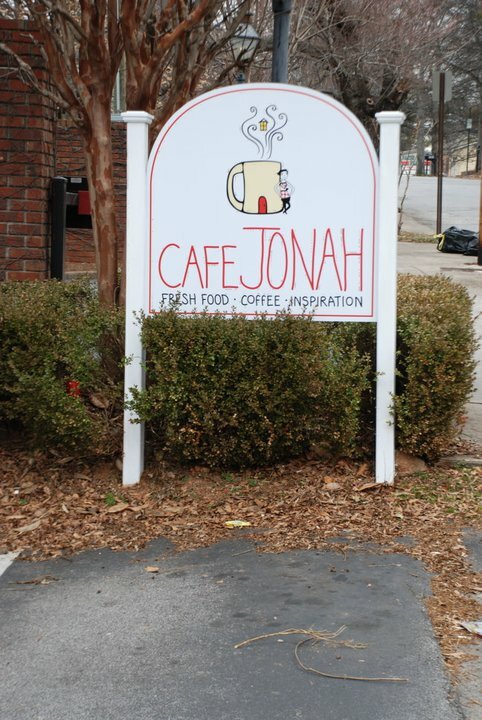 Located at 3188 Paces Ferry Place, Café Jonah and the Magical Attic is named after Jenny’s seven-year-old son. Literally just around the corner from Souper Jenny, Cafe Jonah provides a perfect spot for busy Atlantans seeking relaxation and restoration while enjoying coffee or tea, breakfast, or a quiet lunch. It is a neighborhood coffee house and café as well as a mini spiritual retreat. Food and drink for the body are downstairs, served in a casual setting with several rooms, sofas, and comfy chairs to settle into. Upstairs in the “magical” attic is where one finds food for the soul and spirit. 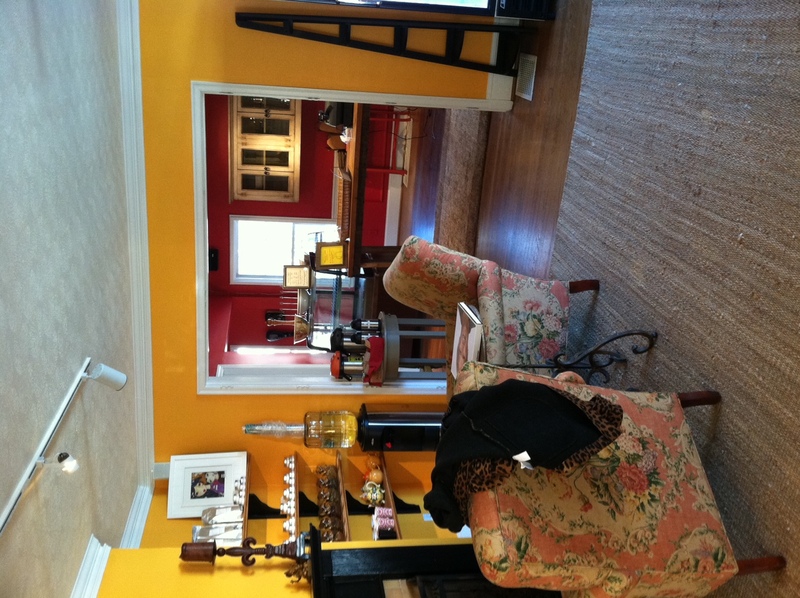 The attic offers inspirational books, candles, aromatherapy oils and even periodic classes and events. You can even book time with a psychic or reflexologist. The café is open Tuesday through Friday from 7:30 a.m. to 4:00 p.m., and weekends 9:00 a.m. to 4:00 p.m. As with Souper Jenny, it is cash only. Jenny brought together about 40 friends and family for dinner and a spiritual blessing of the cafe. Nicky and I wanted our cocktails for the event to reflect the core principles of the café . . . spiritual wholeness, comfort, relaxation, restoration. We decided on three drinks that would cover a variety of flavor profiles and hopefully please the palates of Jenny’s guests. Nicky’s first creation – The Inner Child – was a playful crowd-pleaser! An adult version of a liquid peanut butter and jelly sandwich, this cocktail is rich, creamy and filling. It involves homemade peanut milk, homemade blackberry syrup, vodka, black currant liqueur, and a wonderful almond/pistachio/walnut flavored Pisa Cream Liqueur. 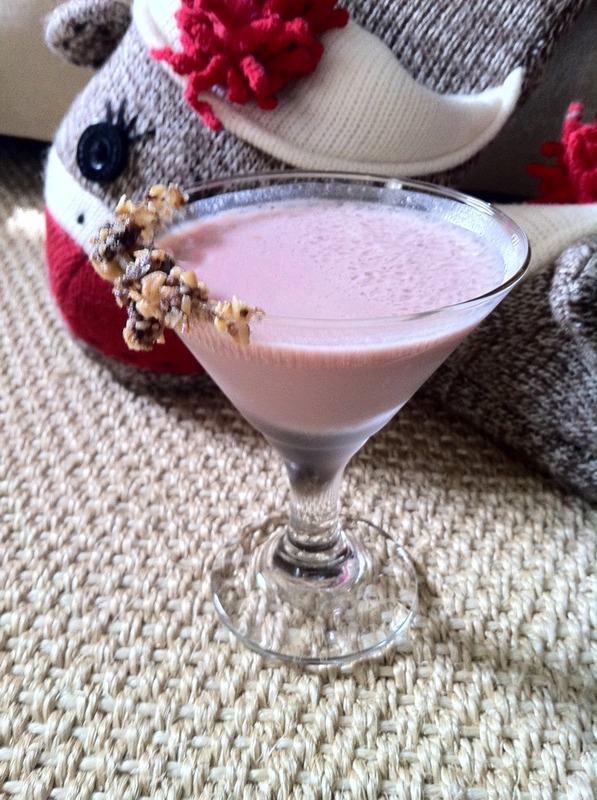 The glass is also rimmed with fresh, homemade granola for those who like their PB&J with the crust on. I took a lighter turn with a creation called The Karma Cleanser. Equal parts gin, Lillet blanc, Cointreau, and fresh squeezed red grapefruit juice, the taste is light and refreshing. A nice cleansing sensation. A small splash of Crème Yvette adds a touch of color and slight sweet scent. The third creation turned out to be one of Nicky’s best – Spice Alchemy. 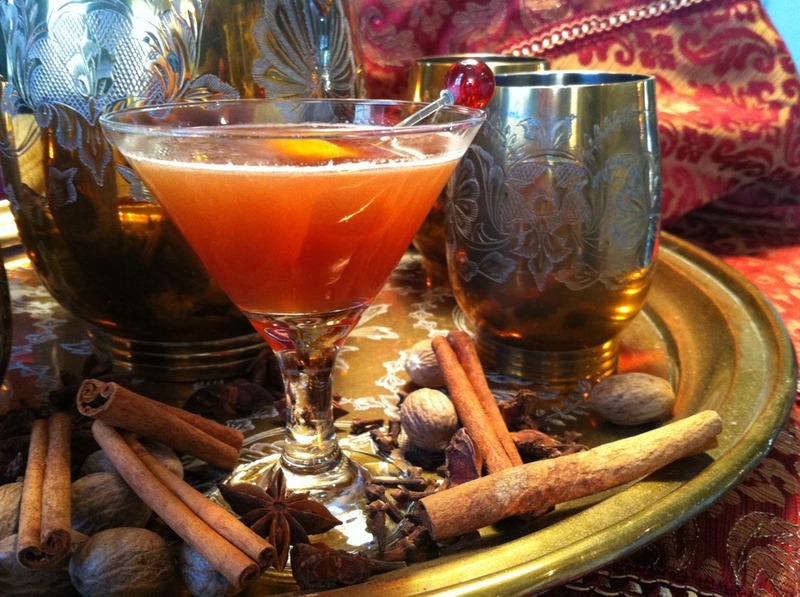 A complex drink with some strong flavors, the balance of spices is perfect. Bourbon-based, the layers of flavors from the Heering Cherry, Amaro Cora, Allspice Dram, and whiskey barrel bitters are just delightful. The finishing notes of cloves linger for a while. 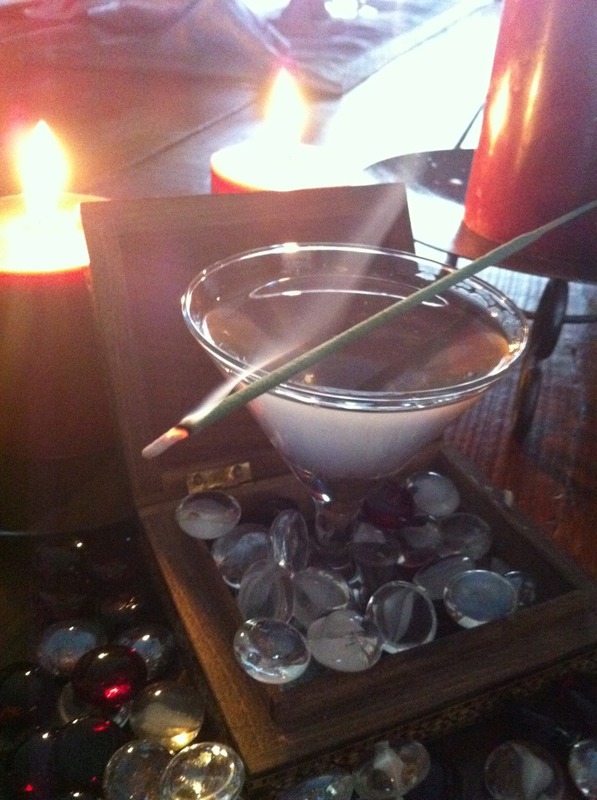 When Nicky and I provide cocktails, we are continually amazed by the reactions people have to these handcrafted drinks. It is the same delight we take in sitting at a bar and watching someone practice their craft as they carefully balance out ingredients to pour up a pleasing libation. It was a beautiful evening of making new friends and introducing them to our passion of drink. And it was humbling to be a part of a new venture by a dear friend. Serve with partially rimmed glass of crushed granola depending on if you like the crust cut off or left on! Place all parts in a shaker with ice. Serve in a chilled cocktail glass. Heat honey first; mix all ingredients in shaker without ice, stir until honey is dissolved THEN add ice and stir. Strain and pour into a chilled cocktail glass. Flame a strip of orange rind and drop into the glass. Thanks! We love Cafe Jonah and it was a privilege to be a part of its launch.